A brilliant, lengthy yet interesting novel. When you finish reading this, I am sure you would be satisfied of having spent your time and money in buying this. 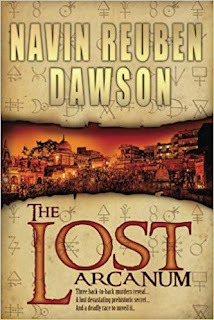 Not many in India do write a novel which is a confluence of religion and fiction and this is one such novel which would surely see him in the likes of Dan Brown, Ashwin Sanghi - if not others. What is most interesting is how the author has handled the flow meticulously wherein you would never feel the boredom while reading this novel. This 455 page novel would surely be a readers delight and I would suggest you to start reading this on a Saturday preferably sitting near to the window especially when it is raining outside. The novel begins with three gruesome murders and Jack Stevens gets appointed as the investigating officer by the CBI. 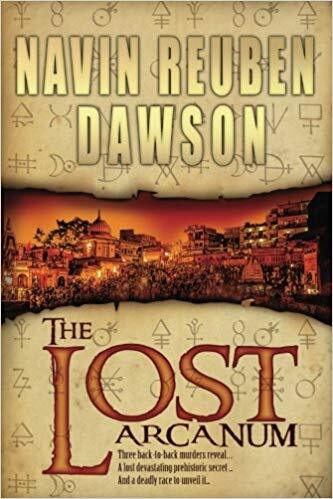 While he was about to crack the case after stumbling upon few evidences, he gets a message from his boss AD Rajat Singh that the case has been transferred to JIC and David Craig gets assigned to investigate it further. He realizes that his father George Stevens did not die a natural death but was also murdered and gets a key from Eileen, wh he doubted was the reason for separation between his parents. The key leads to various places which includes Nallamalla hills in Srisailam, Ajanta and Ellora caves and Kongka La(Leh). The killer tries to eliminate Jack but gets saved my the cab driver. He also finds a company from Taneez who was from U.S.
Jack gets framed and he becomes a fugitive but eventually gathers more crucial information without knowing that those who he trust were also giving the clue to the JIC to get hold of him. There was this person who was referred as "MASTER" who joins hands with opposition leader Ajeet Awasthi and tries to unearth the secret on his end. What was the secret all about? Who is this MASTER? What is his motive? You would get answer to all these questions in this fast paced novel which is no less than a Hollywood thriller.